Through the generosity of the ORU Biology Alumni and many others, I was able to travel to Drexel University, Philadelphia and Rutherford Appleton Laboratory, UK for Honors Research this summer. The research consisted of discovering potential anti-bacterial drugs (Sortase A Inhibitors) synthesized using the Ugi Reaction. I plan on continuing this research at ORU applying the techniques and knowledge gained to hopefully take a step closer to fighting off antibiotic-resistant bacteria. The Honors Program has provided me with a plethora of unique opportunities, including Honors courses, events, dorm, and research assistantship. There are basically two types of Honors courses: Honors sections of regular courses and Fellows Seminars. The Honors Program upgrades some regular courses through enhanced discussion, critical thinking, and community building curriculum without making the course any more difficult academically. For Honors Freshman Biology I, I was given the opportunity to help as a teaching assistant (TA) for another Freshman Biology I Lab taught by Dr. John Korstad in partial fulfillment of the course community service requirement. For an even greater whole-person education, the Honors Program has developed Fellows Seminars, which combine two different disciplines in a single course. As a Scholar in the Honors Program, I can take all but one (Artistic Expression) of the Fellows Seminars. So far, the three Fellows Seminars that I have taken have benefited me tremendously academically, socially, and spiritually. The Honors Program further allows for relationships with people from a great variety of disciplines through Honors dorms and events, such as Honors Retreat, Chapel and Research Extravaganzas. In addition to the opportunities to present my research at the Research Extravaganzas, the Honors Program has improved my research capabilities through the Honors Research Assistantship. As an Honors Research Assistant, I get paid to work closely with an Honors Faculty on an honors caliber research project. 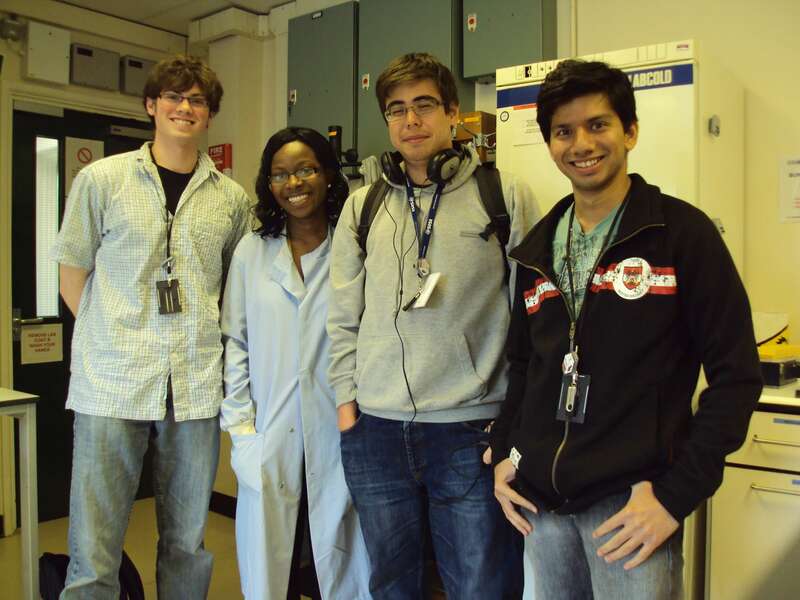 For example, I worked on the Sortase A Inhibition project as an Honors Research Assistant under Dr. Andrew Lang. While the Honors Program does require some extra effort, I continue to find that the program multiplies my efforts to fulfill the calling of God on my life.